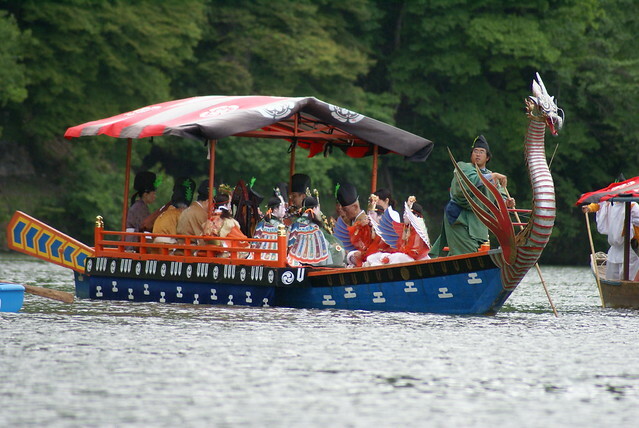 Mifune Matsuri (Three Boat Festival) takes place on this week’s Sunday. It is hosted by a small shrine named Kurumazaki-jinja, that worships gods for artistic talent. 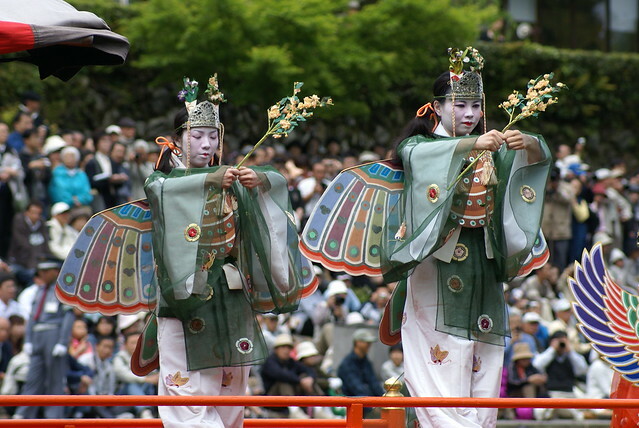 The festival starts there at 12:30 with a ritual, where people dress up in ancient Heian costumes, they then proceed to Arashiyama’s famous Togetsu-kyo Bridge and board about 25 boats. This iconic scene is a reproduction of a boat party on the river from 1000 years ago. Some boats carry musicians playing music, while on other boats you can see dance performances and poetry is recited on another one. It’s a good oppurtunity to see Geisha, too!